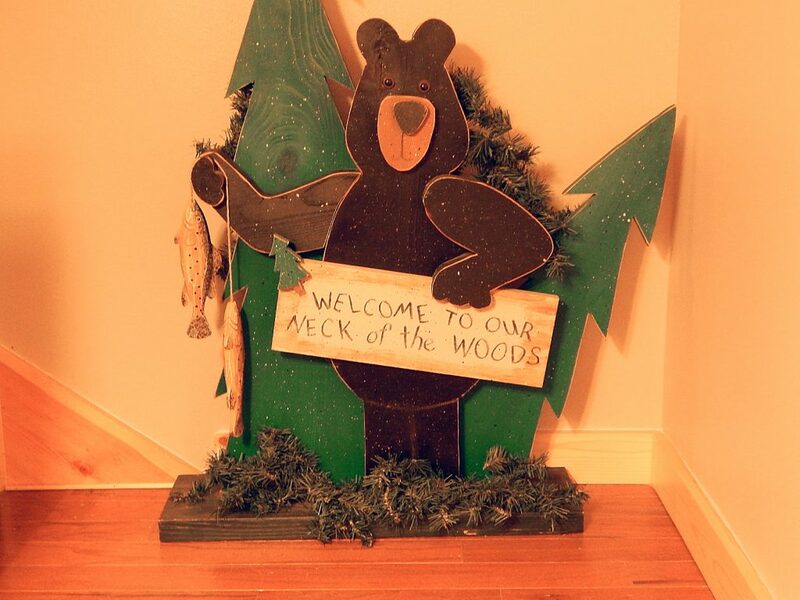 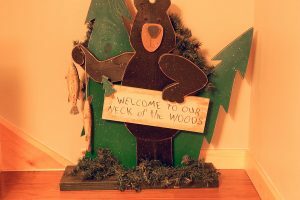 A fun, fishing bear waits to say “Hi!” to you at this little cabin right on the lake at Douglas Lake. 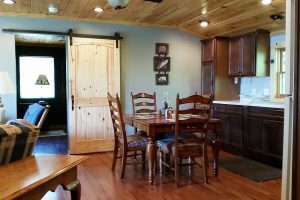 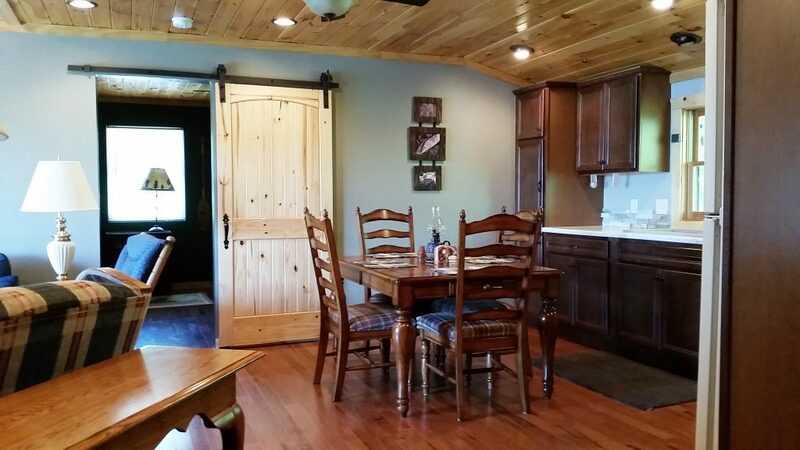 Little Fishing Bear is a one bedroom, one bathroom cabin that is best suited for lake-loving couples or small families who want a relaxing place to stay while doing some fishing or boating. 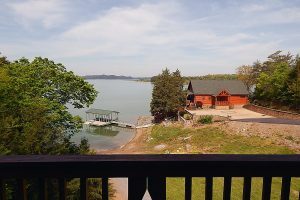 The main living area is located on the second floor of the house over the garage (for owner’s use only) and is accessed by an entry door facing the lake. 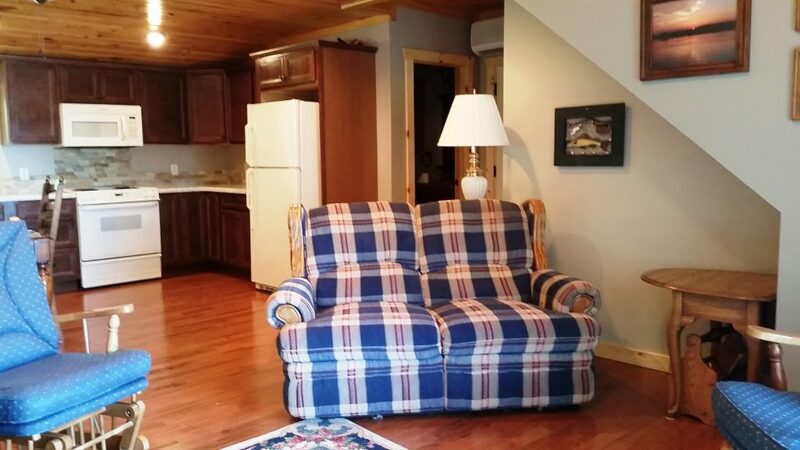 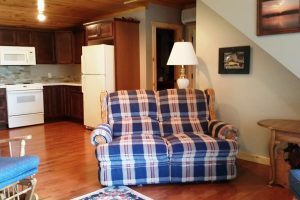 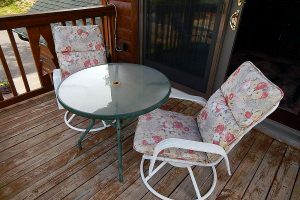 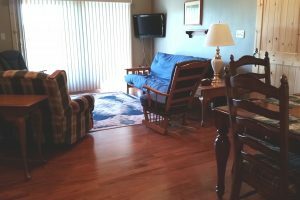 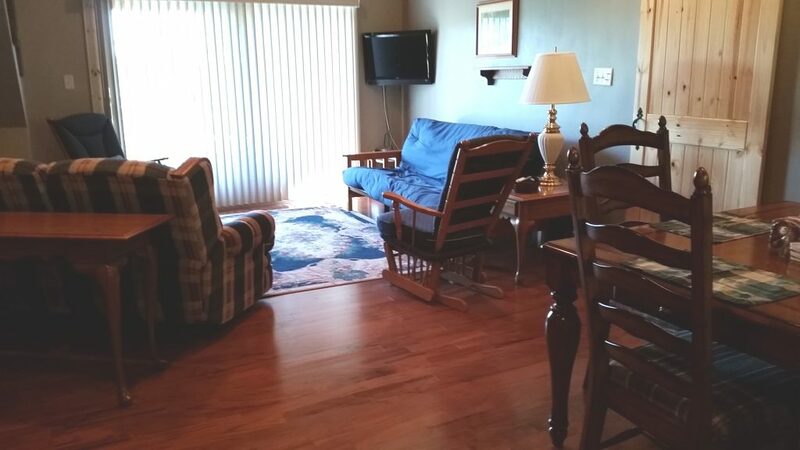 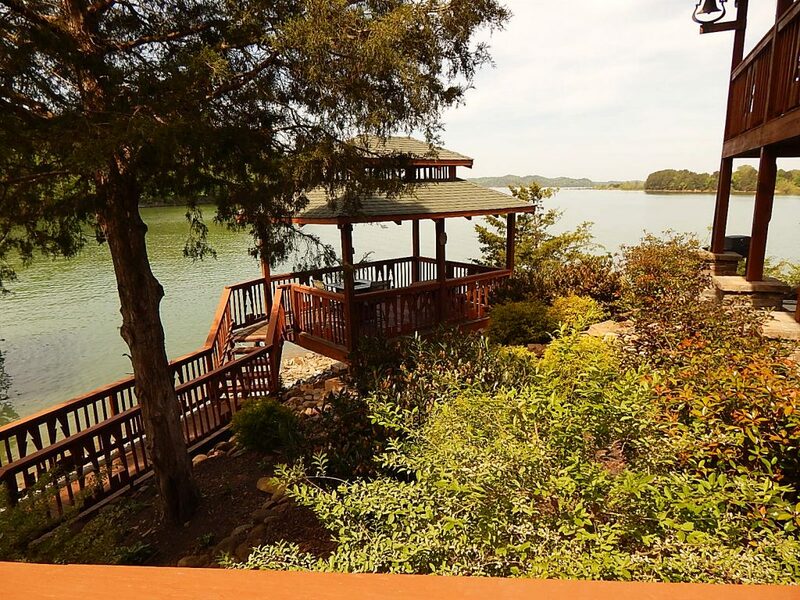 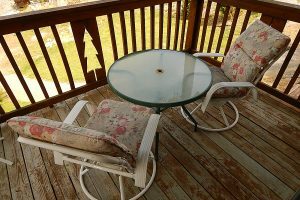 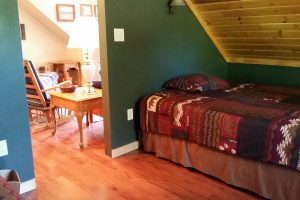 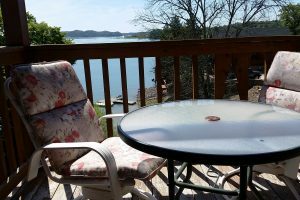 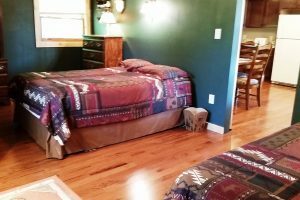 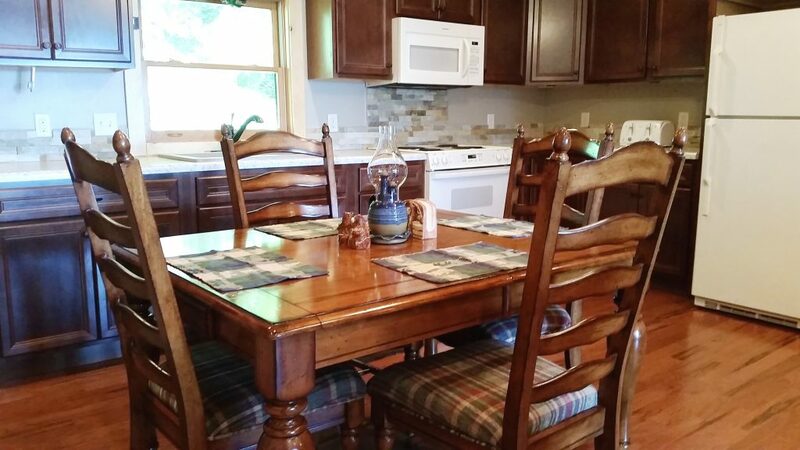 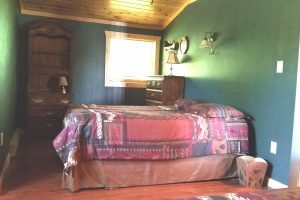 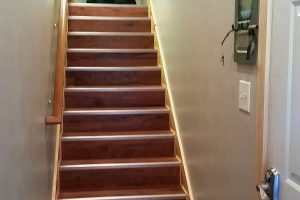 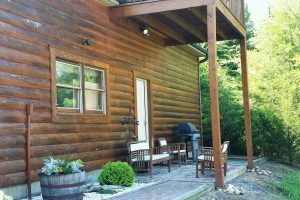 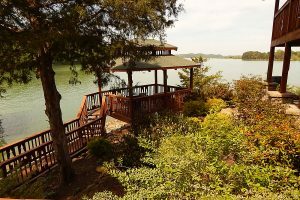 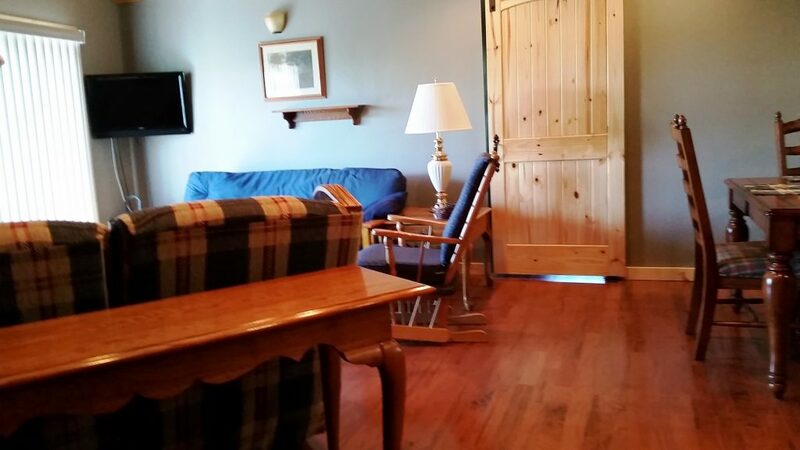 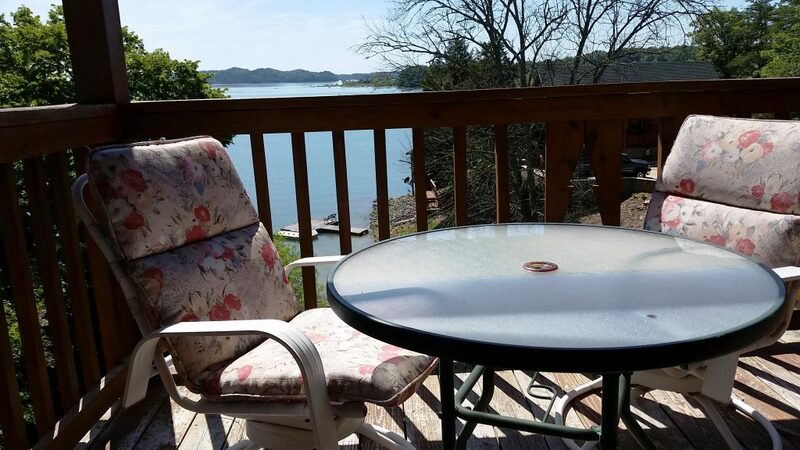 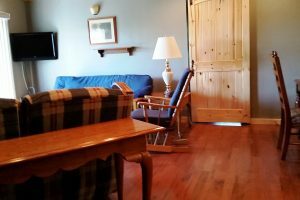 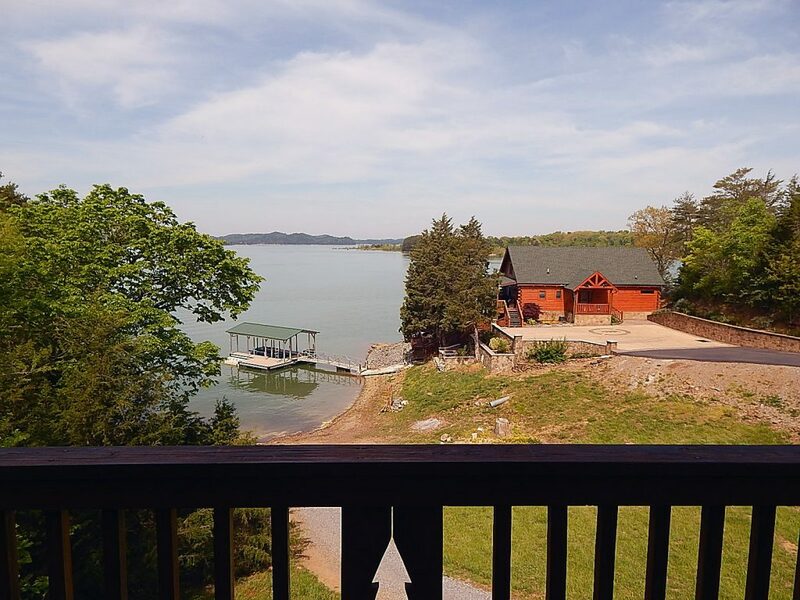 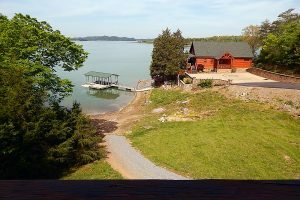 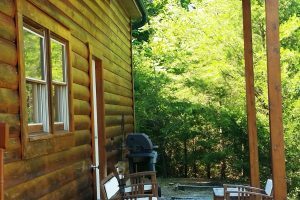 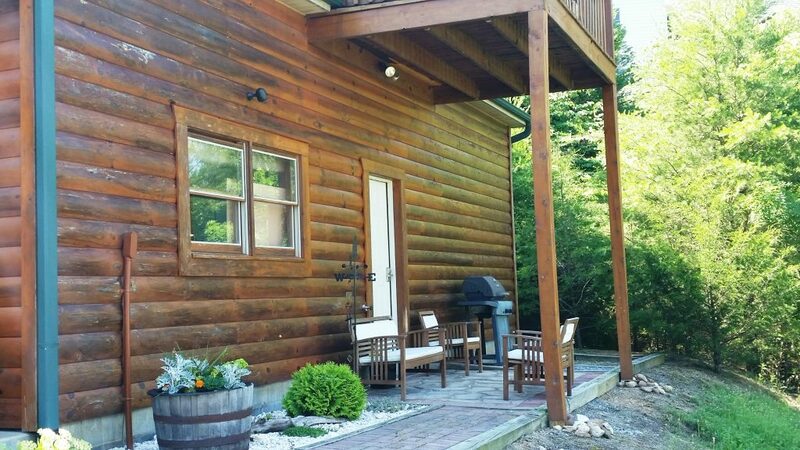 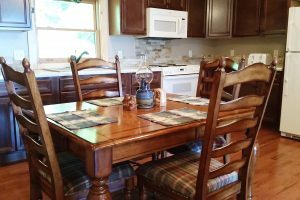 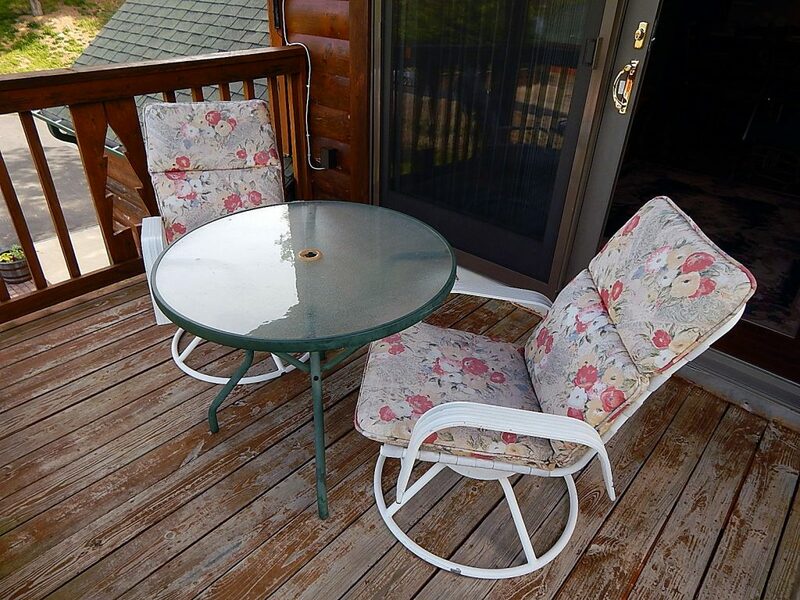 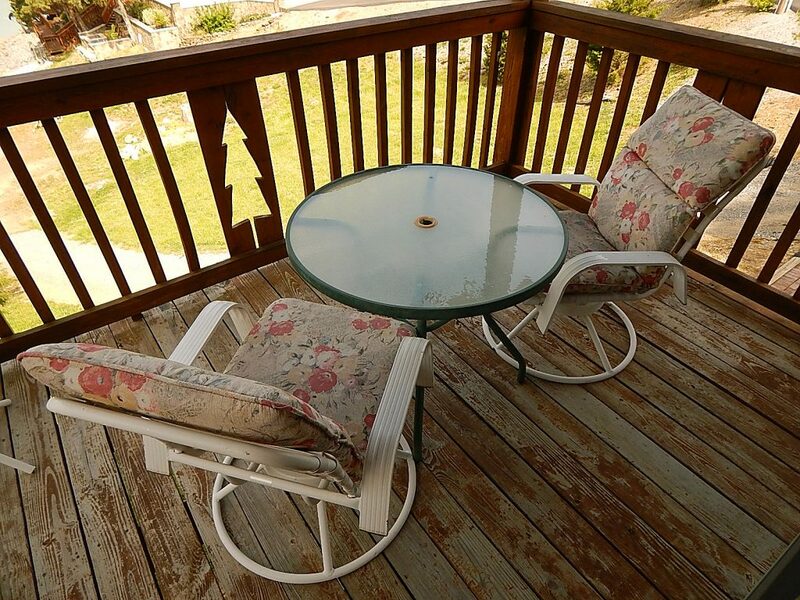 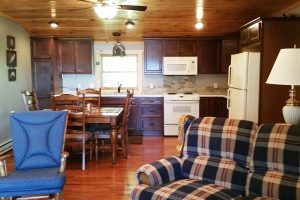 It is a cozy, one room open area with TV and DVR, comfortable seating, and a porch facing the lake with gorgeous panoramic views of the lake. 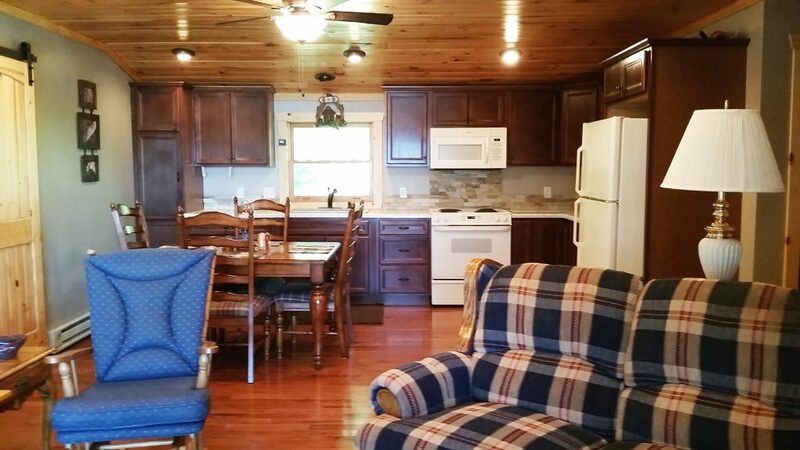 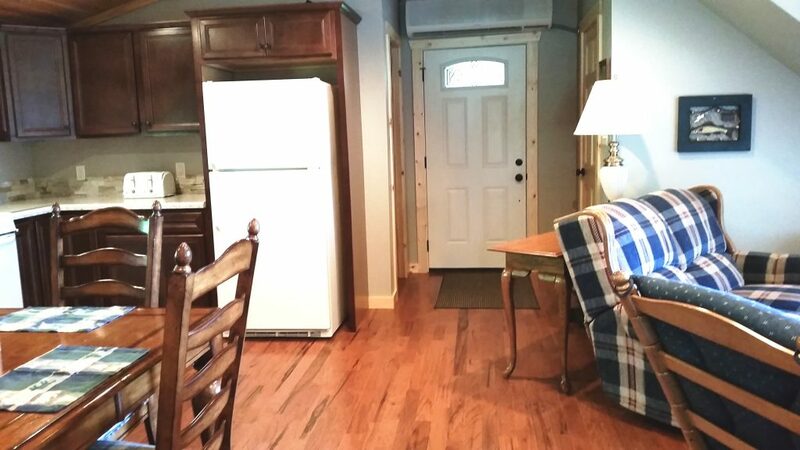 The fully equipped kitchen has everything you need and there is also free internet access. 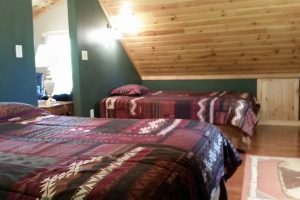 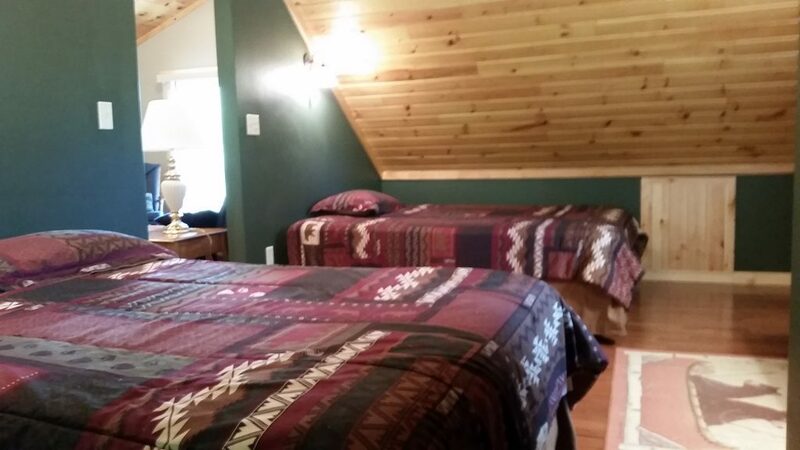 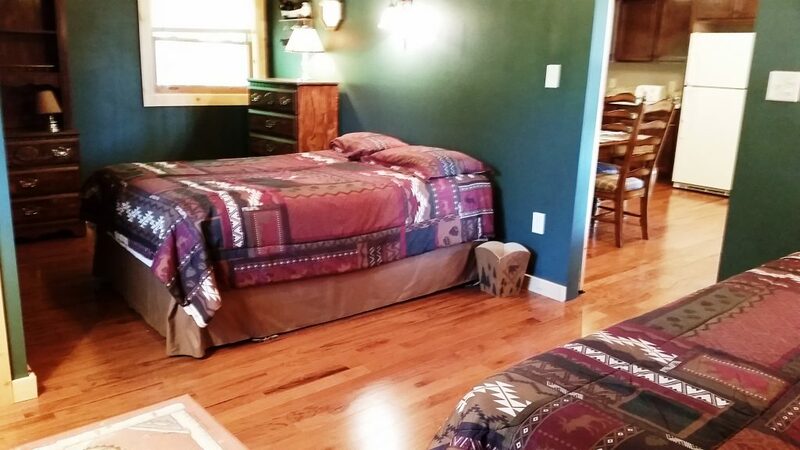 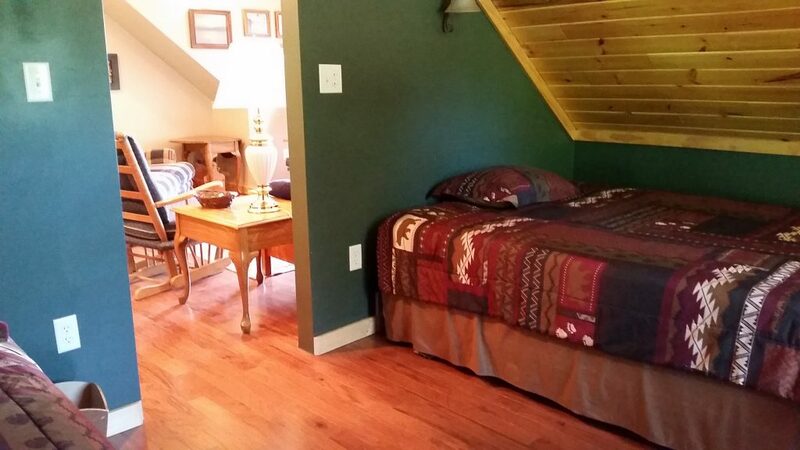 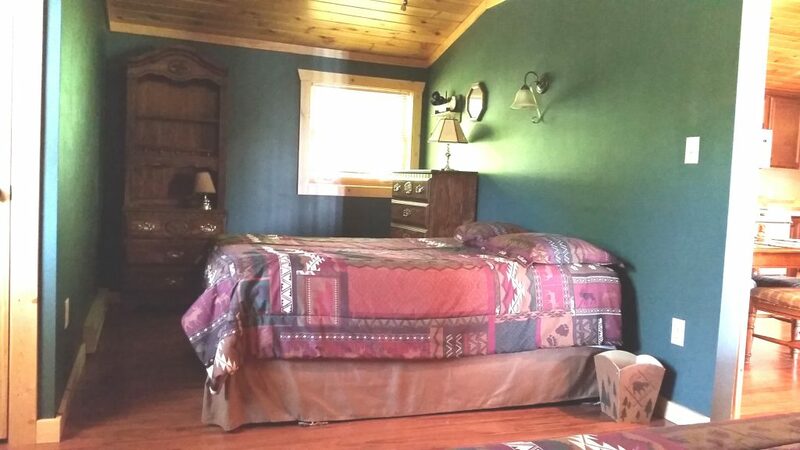 The bedroom is the other main room of the cabin and it features both full-sized and queen-sized beds; a futon in the main area might be used for a small child. 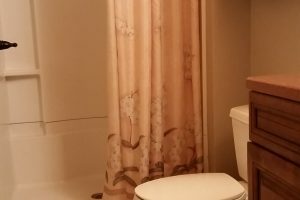 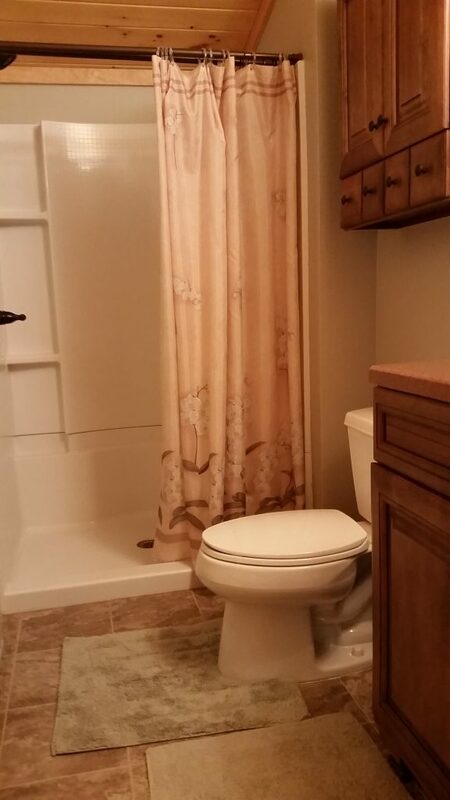 The bathroom has a 4’ shower. 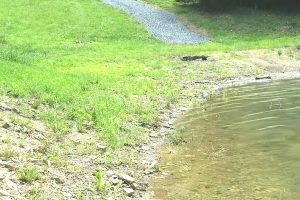 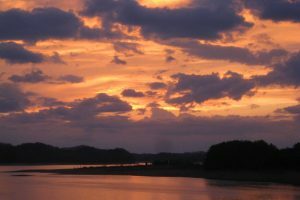 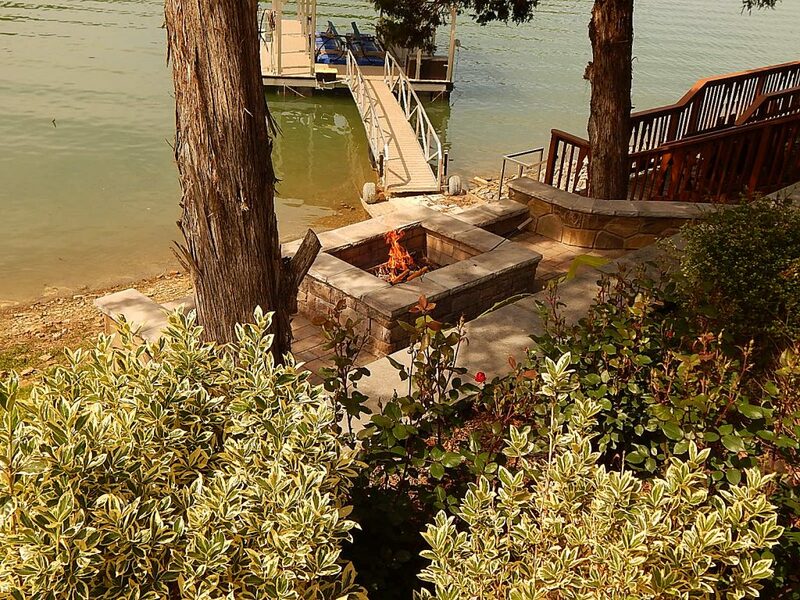 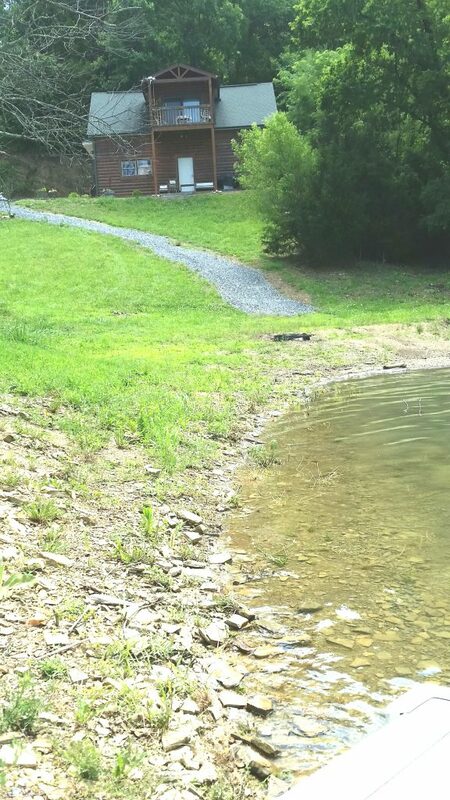 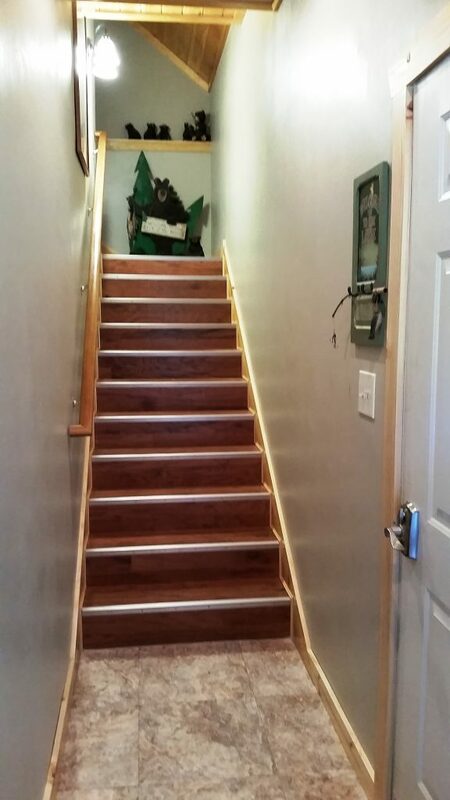 Outside, to go to the lake’s edge, walk down a gravel path or use the paved drive to access steps to the lake. 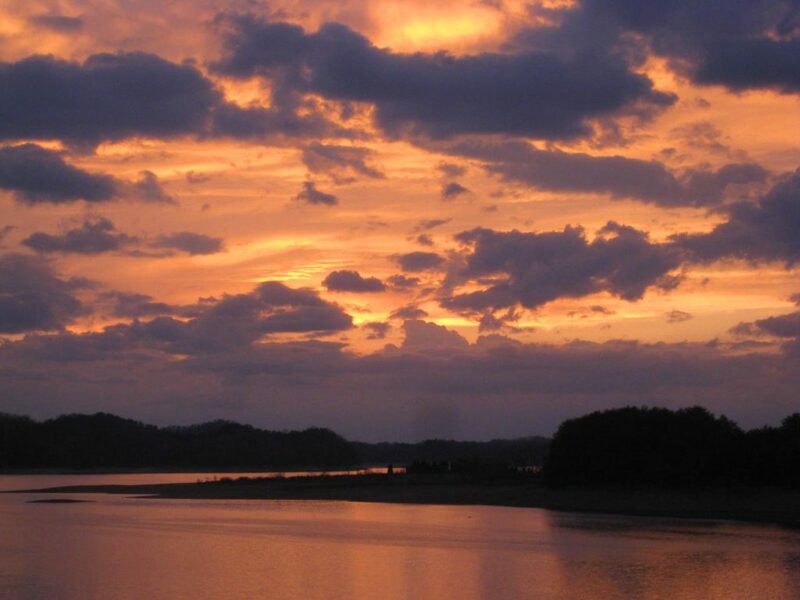 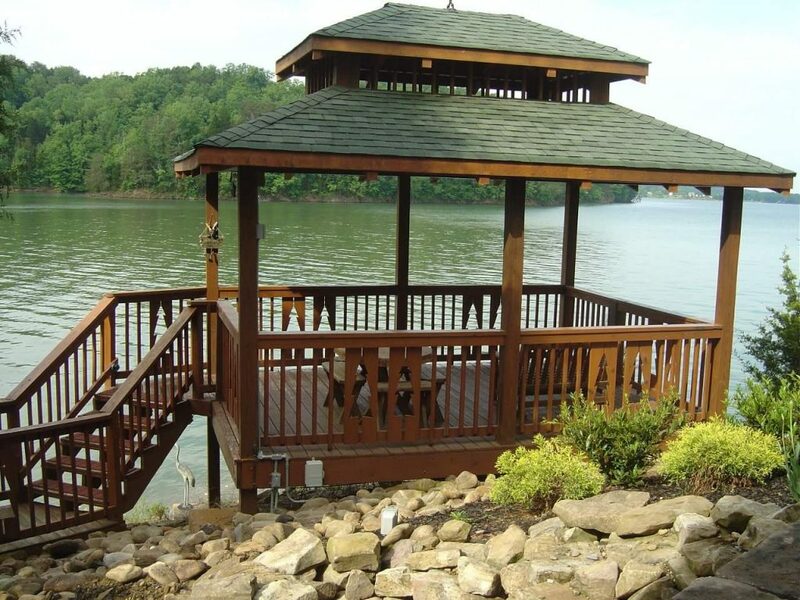 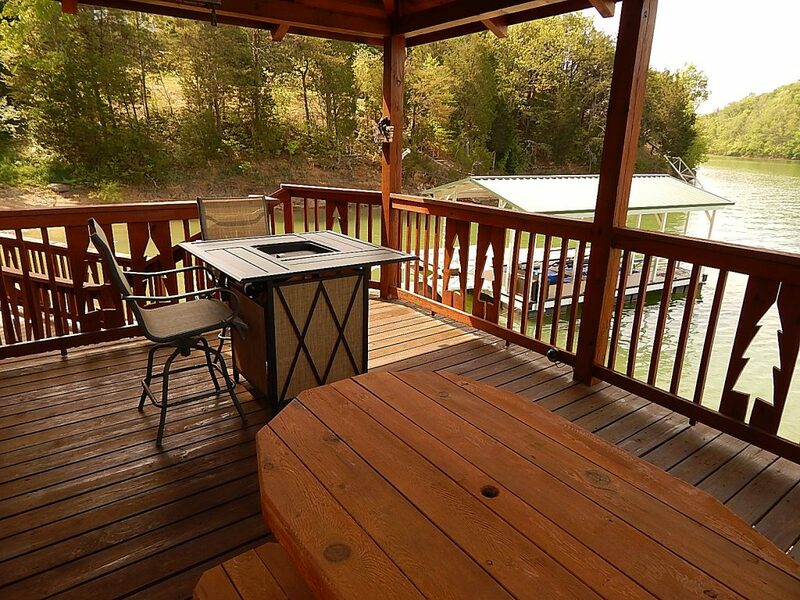 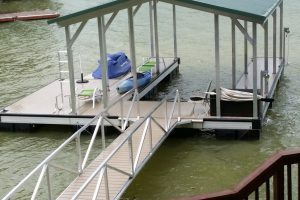 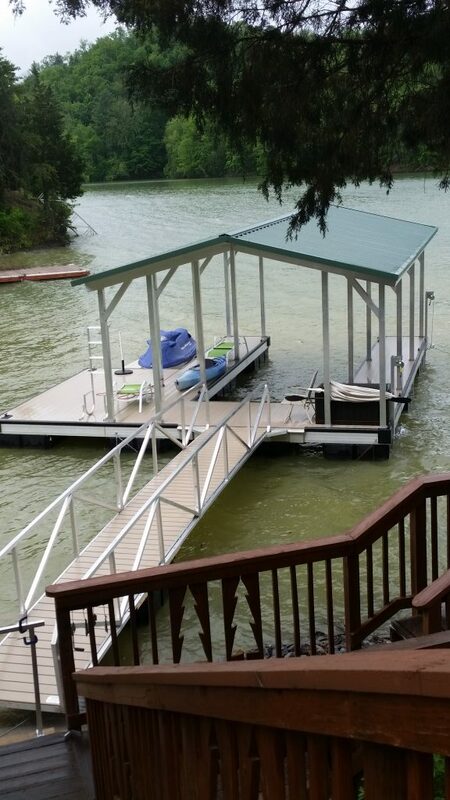 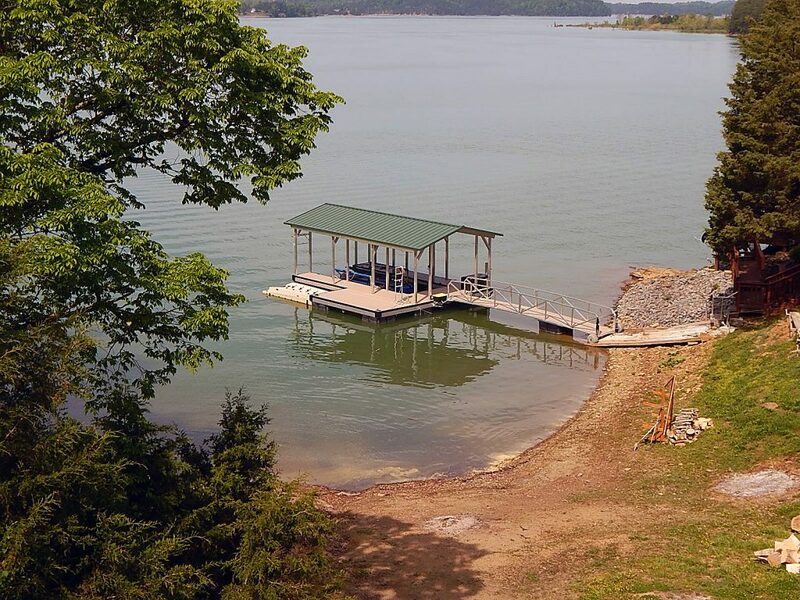 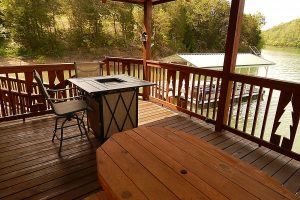 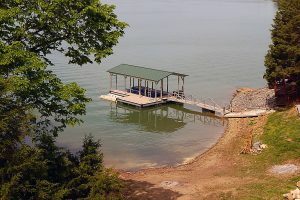 The shared dock has plenty of room for any watercraft you may want to bring or rent. 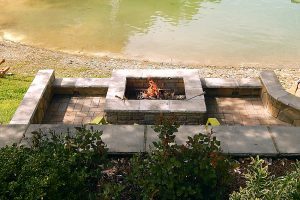 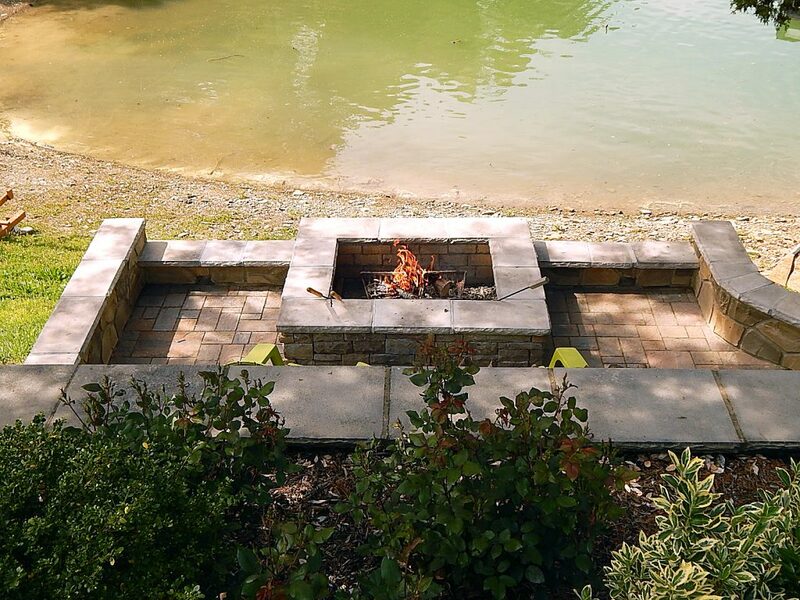 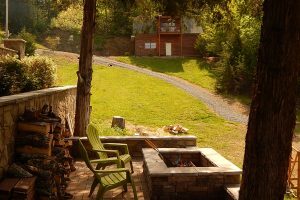 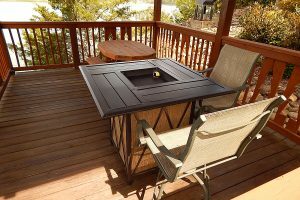 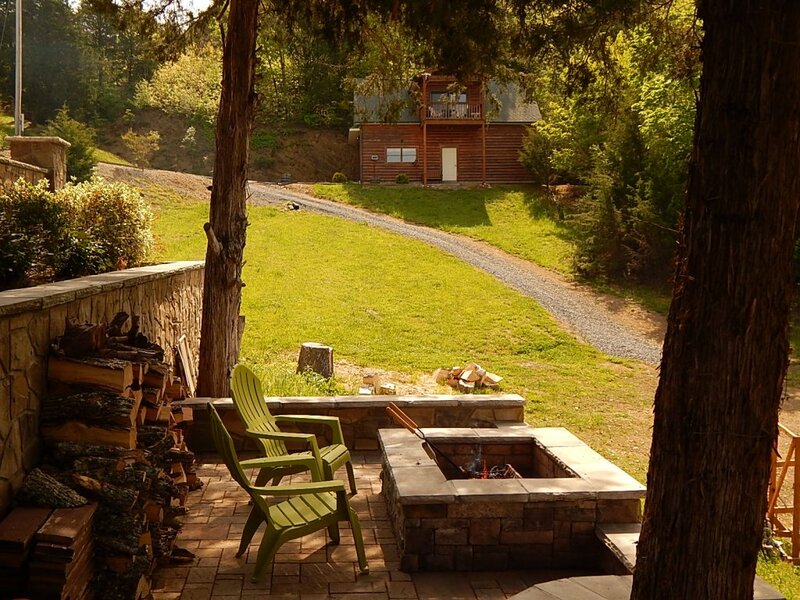 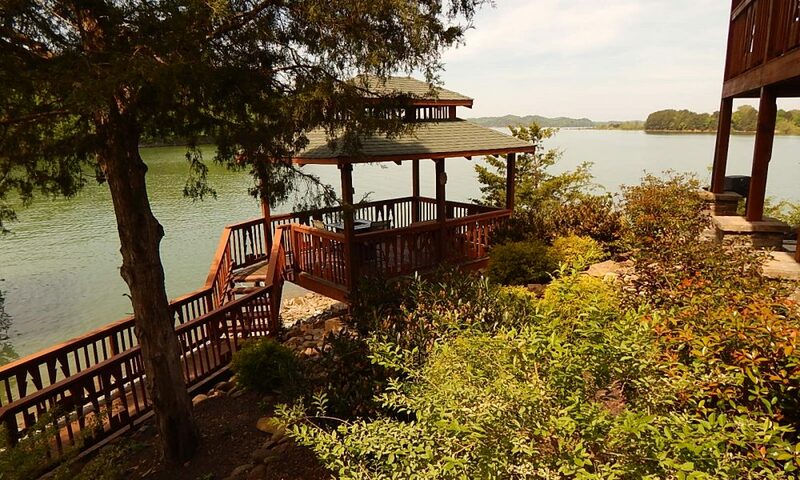 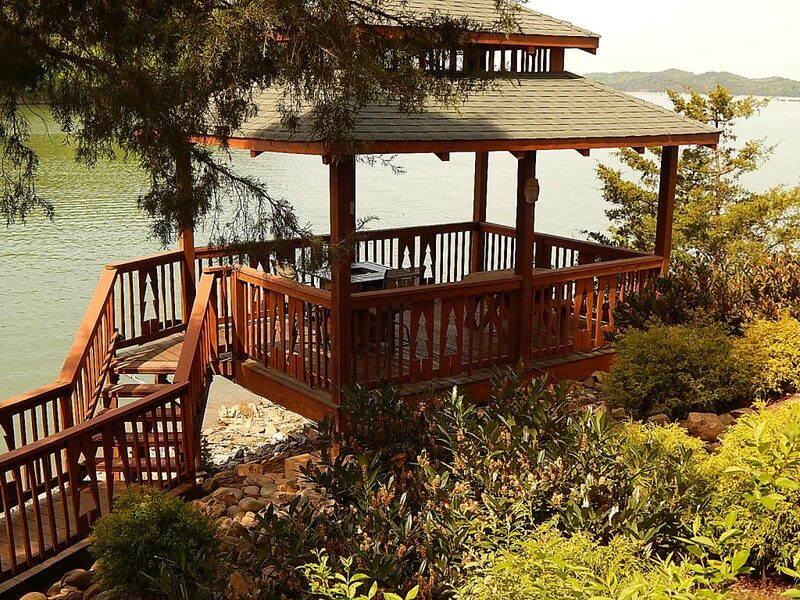 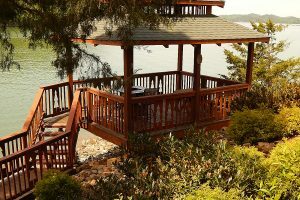 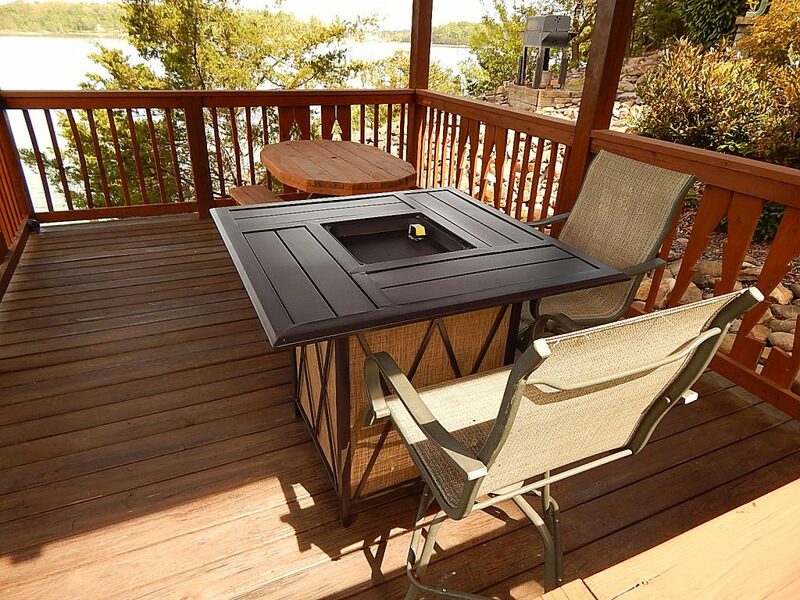 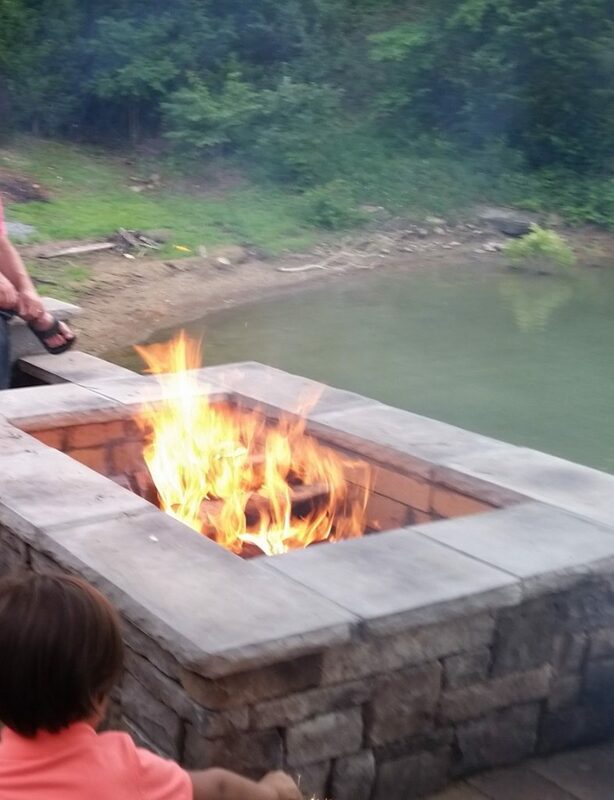 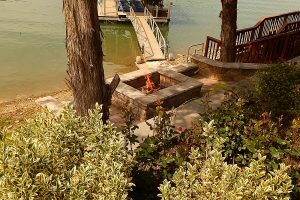 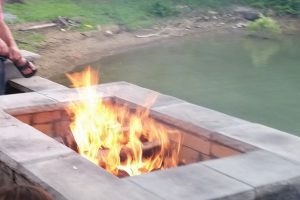 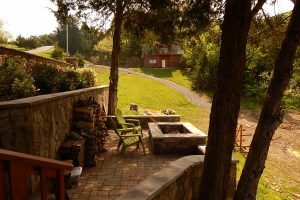 You are invited to use a fire pit and gazebo at the neighboring house (which is owned by Little Fishing Bear’s owners) for picnics, making s’mores, watching sunsets, or just hanging out. 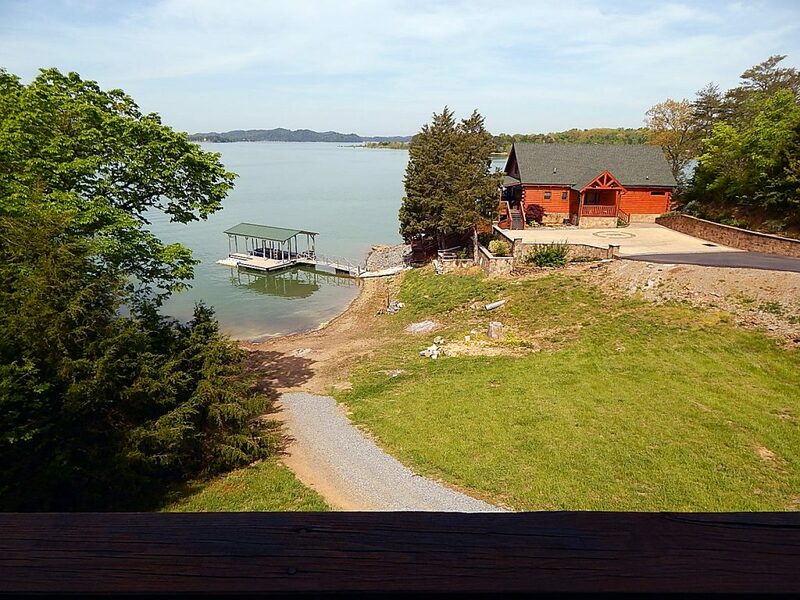 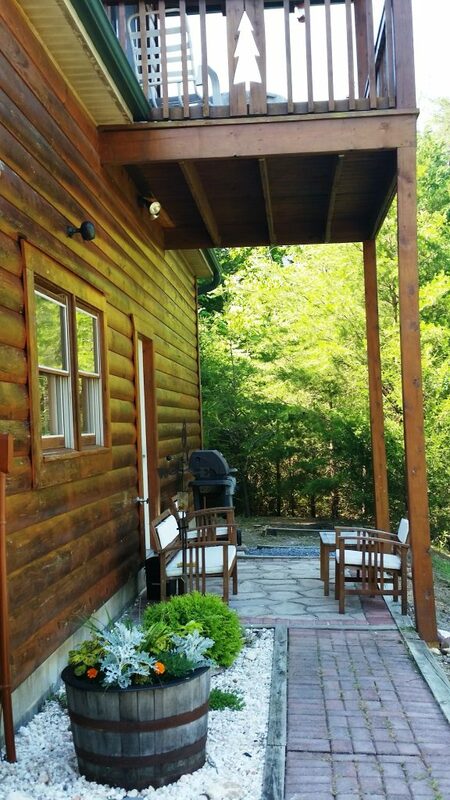 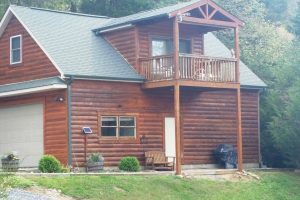 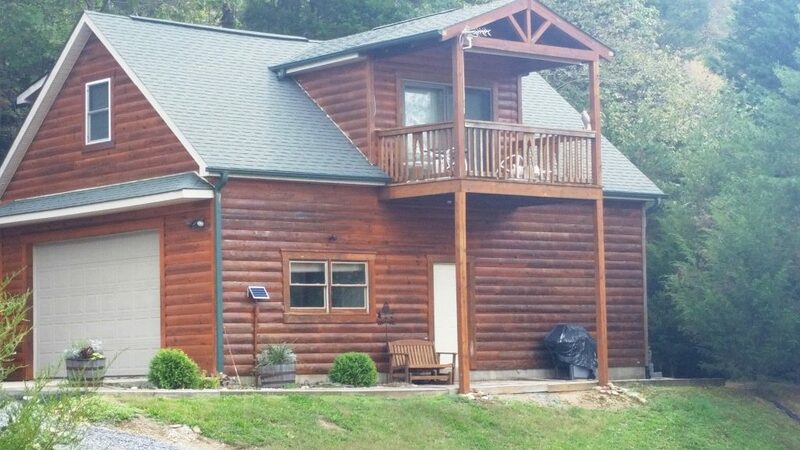 This cabin is located near Marker D on Muddy Creek and there is a community boat ramp for your use. 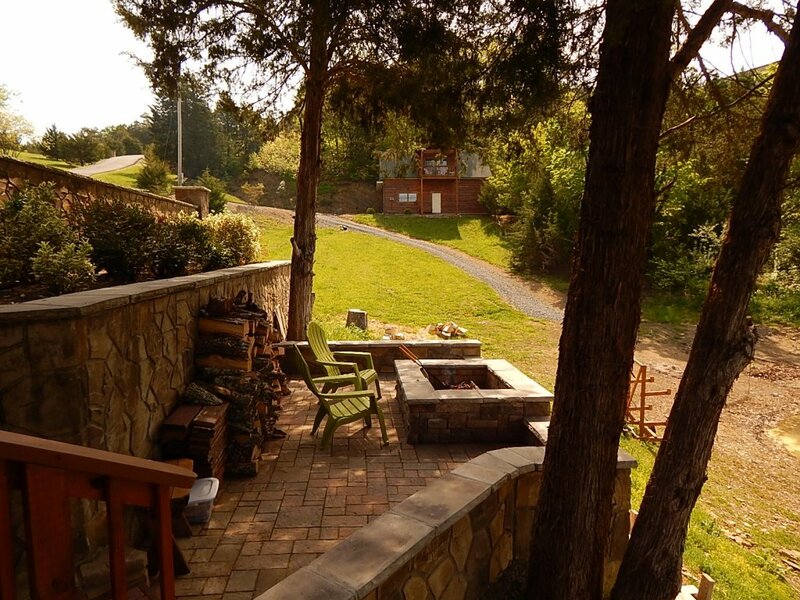 Be sure to visit Bush Beans Museum and Café or Forbidden Caverns while you are here. 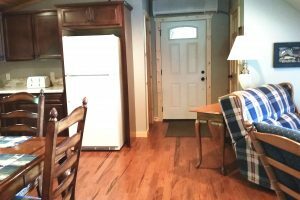 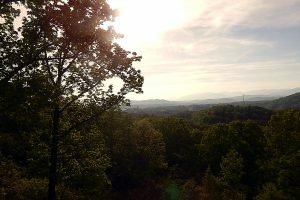 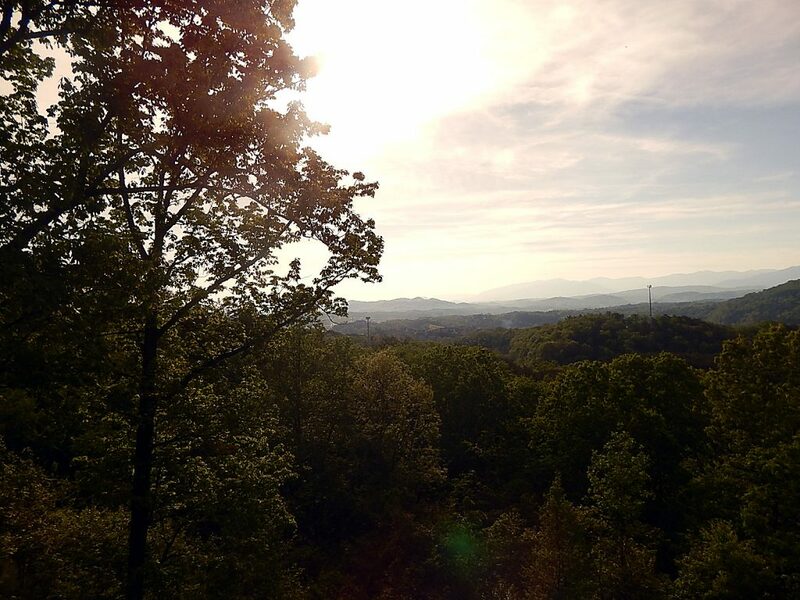 We are 20 minutes to Dollywood and Pigeon Forge, and you can be inside the Smokies in about 50 minutes.